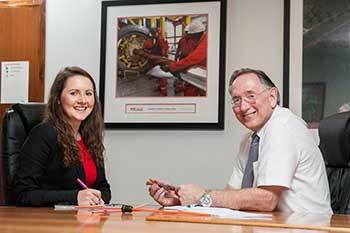 Earn while you learn through our fee-free, accredited Chartered Manager Degree Apprenticeship. This brand new Degree Apprenticeship is offered in collaboration with ILM and the Chartered Management Institute (CMI). The University of Chester has an excellent track record in providing work-based learning courses for organisations across the world through its highly acclaimed Centre for Work Related Studies, in which this course will operate. Whilst the Chartered Manager Degree Apprenticeship (CMDA) curriculum is focused upon core competencies, each assessment can be individually negotiated to specifically put the apprentice's learning into context, resulting in a comprehensive portfolio of evidence that may also be used by the organisation to enhance performance. The course also incorporates a bespoke, individually tailored consultancy project at each level, which apprentices would be able to negotiate and design in conjunction with their organisation to benefit a specific business area. The University was one of the very first to launch the CMDA in September 2016 with subsequent open or closed cohorts available at any time of year according to business needs. Applications will be assessed in partnership with employers using qualifications and/or relevant experience as the criteria, and accreditation is potentially available for previous experiential learning. There is no minimum UCAS points threshold. The course delivery model is extremely flexible, with compulsory workshop attendance just 12 days per year, supported by a blended learning approach and regular workplace visits. Uniquely in the UK, apprentices who complete the course at Chester will not only gain a BA (Hons) in Business Management and Leadership (with an addendum to the award title where specialisms exist), but they will also be awarded the highly valued ILM Diploma at Level 4, 5 and 6, as well as the achievement of Chartered Manager status. This course provides you with a unique opportunity to work in some of the region’s leading organisations, whilst studying for a BA (Hons) in Business Management and Leadership. You could also gain the highly regarded Level 6 Diploma in Leadership and Management from the ILM, and Chartered Manager status. You will be employed by an organisation for a minimum of 30 hours per week, receive a salary and benefit from the invaluable work experience opportunity, not to mention all of the additional benefits that are provided to full-time employees. Your employer will agree to release you for some time each week in order for you to attend lectures as a student. This would usually take place on our brand new multi-million pound campus at Queen’s Park, where you would receive all of the support and benefits that other students enjoy. You will need to have good A Levels in order to apply (or relevant work experience) and meet the employer’s requirements, as well as having a genuine interest in a business or management career. The University is working with a range of leading employers to deliver these apprenticeships and vacancies will be advertised here as they become available. Alternatively, you may be able to complete an apprenticeship with your existing employer. Please contact Lisa Rowe (lisa.rowe@chester.ac.uk) for more details of how this might work for you. Apprentices are employed for a minimum of 30 hours per week by an employer, whilst studying for a BA (Hons) in Business Management and Leadership with the University of Chester. Apprentices who complete the coruse will not only gain their degree, but they will also be awarded the highly valued Institute of Leadership and Management (ILM) Diplomas 4, 5 and 6 and achieve full Chartered Manager status. This course is suitable for a range of aspiring managers and roles with managerial responsibilities, in a variety of organisations and sectors. It can also be used as a retention and promotion course to retain and reward existing high fliers within an organisation. Delivery will take place at one of our multi-million pound campuses in Chester, Warrington or Shrewsbury, or at a suitable employer site subject to agreement. It comprises of 12 workshop days per year, workplace visits and supported online and distance delivery. Assessments are entirely project based and can be individually negotiated with the apprentice to support your organisation's requirements. It is also possible to negotiate an addendum to the exit award where specialisms exist. We have an excellent track record in providing this type of work-based learning in organisations across the world, particularly through our highly acclaimed "Centre for Work Related Studies" through which this apprenticeship course operates. 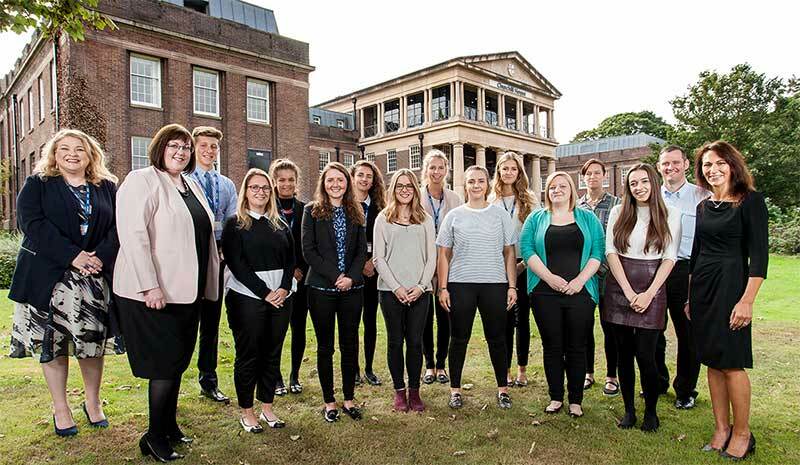 The first cohort of apprentices is already producing superb results for their employers. Large employers (over £3m payroll bill) pay a 0.5% tax on their payroll bill. Contributions begin in April 2017 and are collected monthly. They are topped up by a further 10% from the Government and the funds are held in a digital account. The funds transfer to the chosen provider when approved training is purchased. The oldest funds are spent first as monies expire after 24 months if left unspent. Medium size employers will benefit from 90% funding, meaning that the full course would cost just £2,700. This funding is also available to large employers who want to spend more than their levy. Small employers (under 50 employees) do not have to pay any fees at all if they engage an 18-year-old apprentice, or a 19-24-year-old leaving care or with additional needs. All employers will receive a £1,000 bonus for recruiting an 18-year-old apprentice, or a 19-24-year-old leaving care or with additional needs. All employers are exempt from paying NI contributions for apprentices under 25. We have a growing register of keen applicants who are looking for an apprenticeship in this field. We can advertise vacancies for you and help with your recruitment completely free of charge.